Is this even possible? Chris Brown and Rihanna spending time together less than a month after his arrest? Say this isn't so? 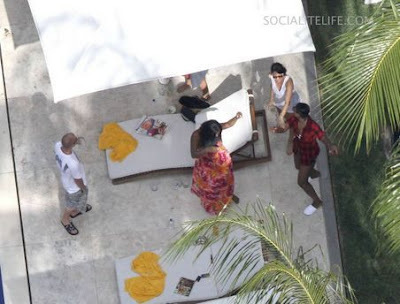 TV Guide is reporting that the singers are at one of Sean "Diddy" Combs' homes on Miami Beach's Star Island. "They care for each other," a source tells the magazine. 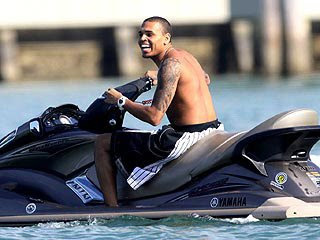 "While Chris is reflective and saddened about what happened, he is really happy to be with the woman he loves. Brown, who has not been charged, said he was "sorry and saddened" a week after his arrest. "I am seeking the counseling of my pastor, my mother and other loved ones, and I am committed, with God's help, to emerging a better person, "Brown said in a statement. Rihanna may have saved Chris Brown's career my forgiving him for what he did, but did she hurt her own career by doing so?